Satellite imagery and photographs confirm that the Islamic State of Iraq and the Levant (ISIS) have staged mass executions in the northern Iraqi city of Tikrit, which amount to crimes against humanity and war crimes, according to Human Rights Watch. 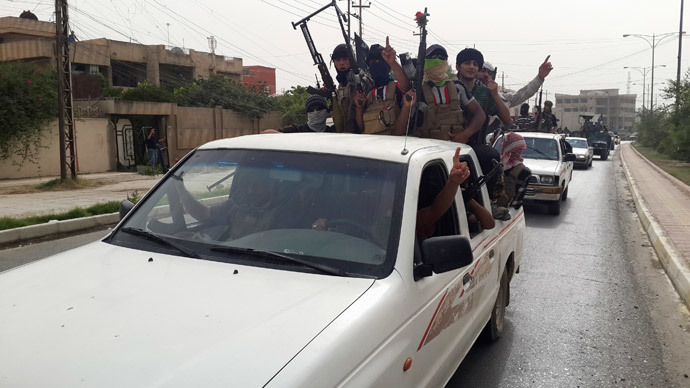 Radical Islamists from the Islamic State of Iraq and the Levant (ISIS/ISIL) have stormed unopposed across much of northern Iraq and have taken the cities of Mosul and Tikrit, as well as capturing border posts with Syria. 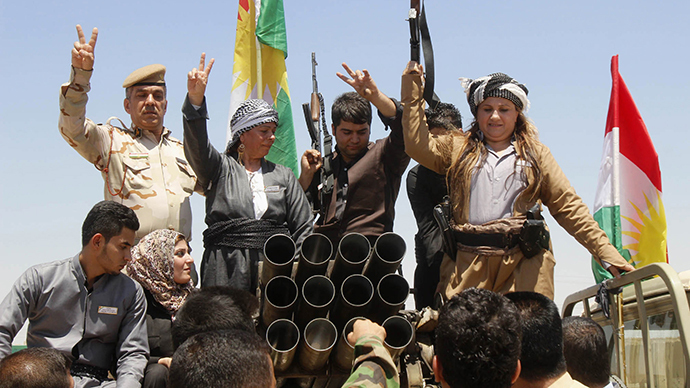 Their aim is to create a medieval-style caliphate in northern Iraq and eastern Syria. Human Rights Watch report that between 160 and 190 men were killed in at least two locations around Tikrit between June 11 and June 14. Pictures on the HRW website showed rows of men lined up in trenches who were then shot by gunmen, it also said that the death toll could be much higher, but they had no way of locating bodies or even getting to the area to carry out a full investigation. "The photos and satellite images from Tikrit provide strong evidence of a horrible war crime that needs further investigation. They and other abusive forces should know that the eyes of Iraqis and the world are watching," Human Rights Watch emergencies director, Peter Bouckaert, said in a statement. “ISIS is committing mass murder, and advertising it as well,” he added. ISIS themselves claim to have executed 1,700 Shia soldiers in Tikrit and Iraq’s human rights minister, Mohamed Shia Sudani, announced on June 22 that 175 air force recruits had been executed by ISIS, also in Tikrit. Some of them were thrown into the Tigris River while others were buried in mass graves. HRW posted around 60 photographs on its Twitter feed on June 14, which showed fighters herding civilians onto trucks before forcing them to lie in three trenches. Between 90 and 110 men were killed in one trench and between 35 and 40 in another, the New York Based rights group said. HRW spoke to one man who had managed to escape from Tikrit after the killings. He said he had seen hundreds of men being loaded onto trucks and driven away by ISIL fighters. “I saw them with my own eyes. It was late afternoon. It was a long line. I saw about 10 armed gunmen with their guns pointed at a line of men, walking them to military trucks. Some of the gunmen had masks and others showed their faces,” he said. Separately the United Nations said on Friday that at least 1,000 people were killed in other violence in Iraq in June. 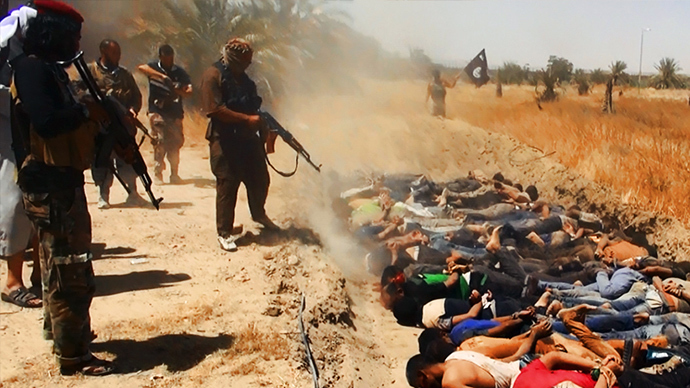 Victims included summary executions committed by ISIS and prisoners who were killed by retreating Iraqi soldiers. Reuters put the figure at more than a thousand. UN human rights spokesman Rupert Colville said on Tuesday that this figure is a minimum and was likely to be higher. He said that some people, including civilians, police and soldiers who were not in combat had been killed in summary executions, while others had been killed in shelling and cross fire. "The evidence will be gathered just as it has been gathered for several years now in Syria against whoever is committing crimes, and hopefully one day there will be some accountability, but with groups like ISIS/ISIL obviously it's particularly difficult," he said. A UN spokesman said on Tuesday that ISIL have broadcast dozens of videos showing beheadings, shootings and other cruel treatment of soldiers, police officers and civilians, with many people being targeted because of their ethnicity, including Shiites and Christians. The one-million-strong Iraqi army, trained and equipped by the United States, has been largely ineffectual in the face of the ISIL assault. Iraqi army helicopters fired at a university campus in Tikrit on Friday in an attempt to dislodge fighters holed up inside the building. The wanton murder of anyone not actively taking part in hostilities, including members of the armed forces who have laid down their arms is considered to be a war crime and a crime against humanity. Meanwhile a Pentagon official has confirmed that the US is flying armed drones over Baghdad, but that the flights are for the protection of the US Embassy and not a precursor to air strikes.